Great place to eat. I ate in the deli section for breakfast. I bought a cake for work and it didn't last long. The cake was AMAZING! Excellent steak, good value. My steak was well done when I asked for medium well. Love the bakery! Also a fun place to dine on your birthday! You get to spin a wheel for a prize, a discount on your meal for how old you are, and a free piece of amazing chocolate cake. The ultimate ultimate is delicious and I'm addicted to their nutty chicken.. great on a croissant. Very very friendly service and the food was AMAZING!! We are visiting from out of town and put 2510 at the top of our list for favorite restaurant!! DELICIOUS!!!! Delicious deli AND restaurant. Best restaurant for birthdays. The atmosphere is great and friendly staff. The menu has a large selection to choose from. The food is very good. Service wasnt what I expected. Neglectful waitress. Until the end. Then wanted a nice conversation. Awesome food, and the best service ever! They changed the Holindays sauce. Ruined the Ultimate. just had the potpie delivered to me and it was amazing..deff will be ordering again since that was my first time! The birthday deal is pretty awesome! You get your age worth of a discount of your meal if you go for your birthday, and you get to spin a wheel for a bonus coupon for your next visit! Food was good with big portions! Has really good food. They have cranberry old fashions, those are the best! The menu is smaller than it used to be, but the food, while expensive, is well-prepared and of satisfying portions. It's a good spot for small family events or Sunday lunch with a cozy, yet upscale atmosphere. The staff there are also excellent and you won't need to wait long to be served. Kaitlyn B was one of the best wait staff I have ever encountered. The French onion soup was, as always, fabulous! I was pleasantly surprised by the atmosphere and quality of the food. Our second visit here. Service, atmosphere, and food is fantastic!! Haven't been there for quite a while. I was delighted to find that the menu wasn't the same old, same old it had been for years. The ginseng steak stir fry was very good though it could have been hotter. I was part of a group of 15 so that was understandable. Love the ranch dressing! Bakery closes early, so purchase before you dine if you want anything. Love their burgers, sandwiches, and soup. Fish was good, too... Great service! Cute restroom for ladies. I highly recommend! Took my mother here for her birthday it was my first time being here, the staff was super friendly and accommodating. The food was Amazing! We ordered the 1/2 and 1/2 which is onion frills and cheese curds I literally could've went and just ate those onion frills they were so good! Hopefully going to go back soon with my husband! This is a slighty above pricing type of menu. The staff is unblieveably professional & their bakery is, the same type of pricing but well worth it. It is also set up for group(s) & the die hard romantics with fireplaces & ambiance. Enjoy. My sons absolutely love this place. Birthday wheel is the best! 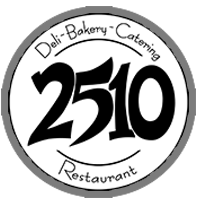 The deserts are wonderful and you can't go wrong with the 2510 burger. Always clean and neat. Prices seem to keep rising but still reasonable. Staff is profession and friendly. Our Valentine meal was salmon. It was so deliciously prepared topped with a delicious pesto sauce. Make sure to go there for your birthday!! We went here for our anniversary and it was everything it should have been. The waitress was very friendly and nice, the food was excellent and the atmosphere was perfect! Had a group of friends dinner here. Our waitresses were very friendly and attentive to us. Good drinks and good food. Very delicious, great service, will be back again very soon for my birthday and friendly ladies . Really enjoy the old school atmosphere. Really enjoy the old school atmosphere. Cozy and comfortable. Great menu with a wide variety of items. Love the bakery offered in the back of the restaurant! Stopped for lunch with table for 8 for lunch. Initial greeting seemed that we were more of a bother then happy to see business. Burgers were over done and the rest of the food was just OK. Drinks and food service was very slow. Amanda our waitress was great! I went to 2510 for a birthday celebration. The atmosphere is very nice, service was ok and food was tasty. Went for my birthday. They take a percentage off based on ur age. Food was good. Great chili on a cold day. Young and "older" enjoy the warm and welcoming atmosphere and great tasting food. Treat yourself to a dessert! !